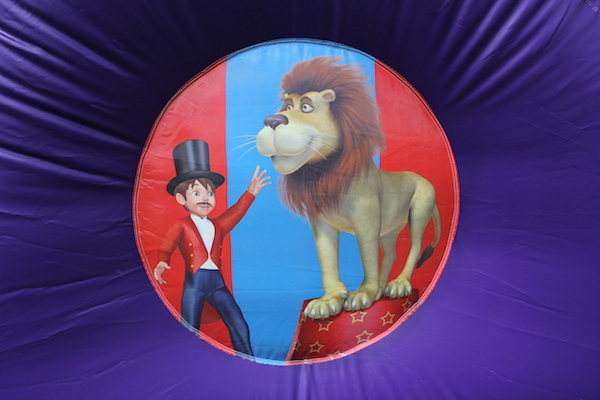 Come and join us for the ‘Greatest show on earth’ and Roll up Roll up for a go on this fantastic new Circus Fun Run. 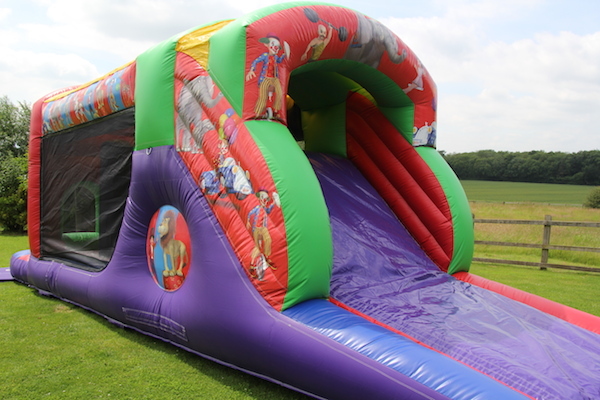 This super fun run is highly decorated with a charming circus theme and will be a real big top show stopper at any children’s party. 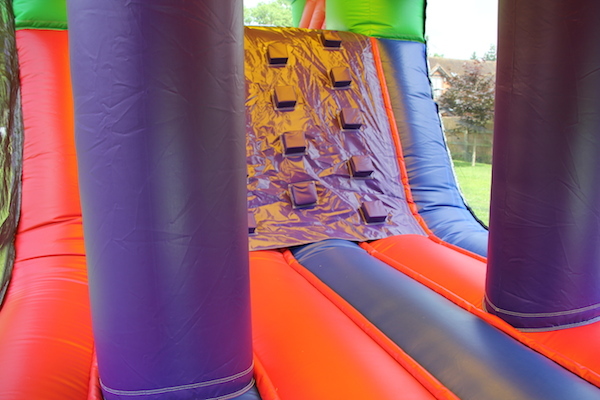 Circus Fun Run has a large bounce area with biff and bash wobblers, a foam block climb and a fast slide. 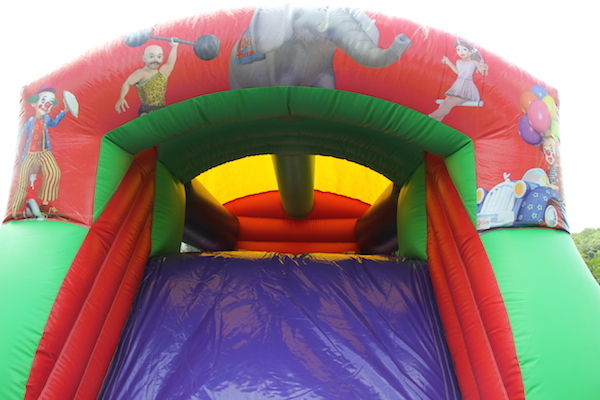 Exhausting and great fun for all little clowns and tigers! 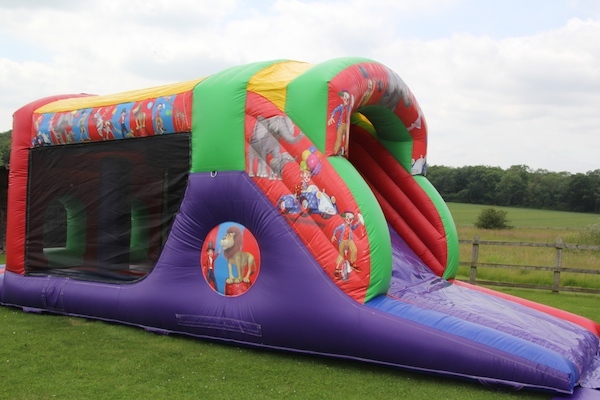 This children’s fun run is suitable for indoor and outdoor hire subject to ceiling height. 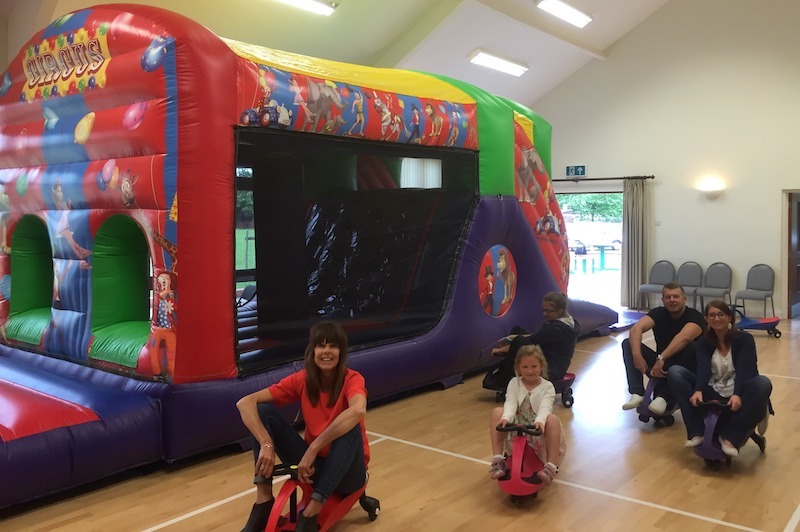 You will also have the free use of the amazing Plasma Cars if your party is going to be held indoors. 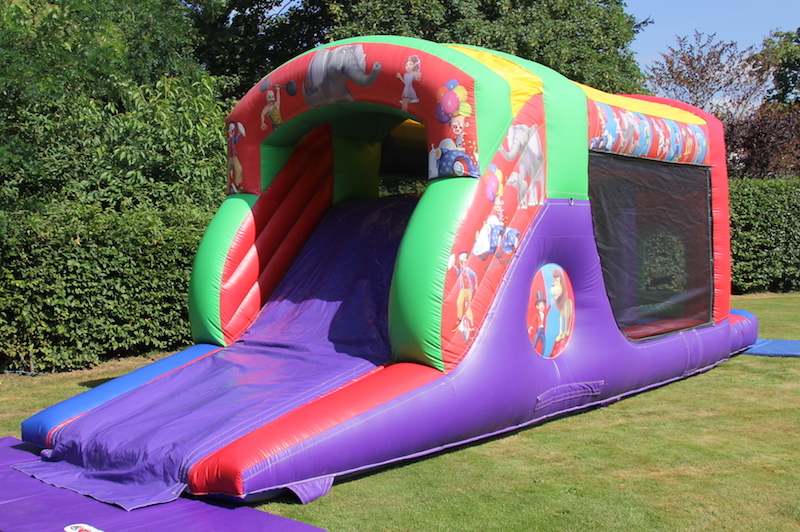 If you would like advice on which venue or village hall to choose from, please contact the office and we will recommend one based on our wealth of experience which we have built up over many years of hiring bouncy castles. 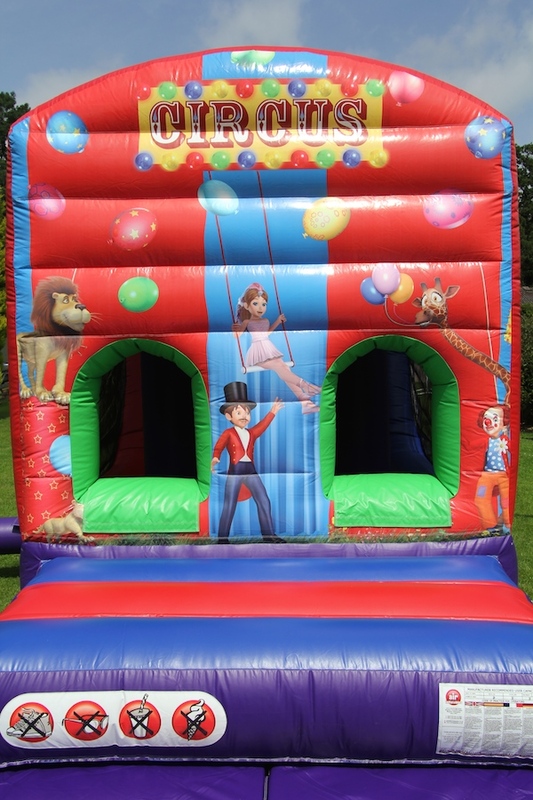 Circus Fun Run is available to hire for birthday parties, school fetes and family fun days. 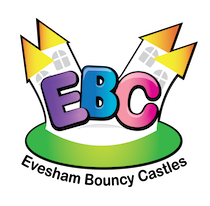 We can offer this really fun run throughout Evesham, Worcestershire, Herefordshire, Gloucestershire, Warwickshire and The Midlands.